Connecticut will bar people on the no-fly list from buying guns. 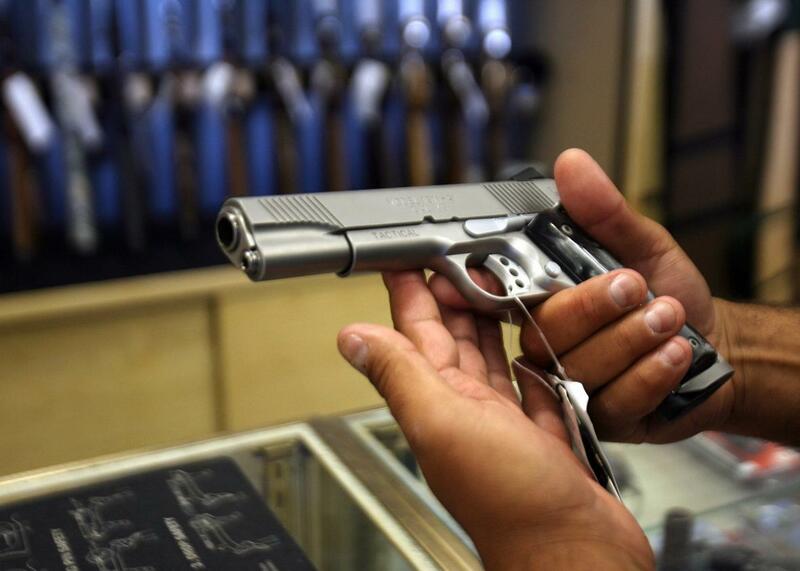 Connecticut’s strict gun laws are getting even stricter. Connecticut will become the first state in the country to bar people on the federal no-fly list from purchasing firearms, Gov. Dannel P. Malloy announced on Thursday. Malloy says he plans to issue an executive order enacting the ban and will work with the White House to gain access to the no-fly list. Connecticut already led the nation in controlling its guns with strict laws following the tragic mass shootings at Sandy Hook Elementary School in 2012, and the latest first-of-its-kind move comes after similar action failed at the federal level. Closing a “loophole” in federal law, Malloy has said, is “simple common sense.” He is the first to take state action, but Democrats in Congress had been pushing for federal action in the wake of last month’s Paris terror attacks and again after last week’s mass shooting in San Bernardino. “If you’re too dangerous to board a plane, you’re too dangerous to buy a gun,” Sen. Dianne Feinstein said after the Paris attacks. The California senator has proposed similar legislation in Congress, but it was rejected by the Senate last week. According to the ACLU, the no-fly list numbers as many as 1.1 million names, the vast majority of which are noncitizens living overseas. Fewer than 10,000 are thought to be American residents. But no one knows for sure. In a strange twist, this latest effort to clamp down on guns has drawn the mutual ire of both the ACLU and the NRA, though for different reasons. “This is a day and age in which the ‘terrorism threat’ label is a very, very serious one,” ACLU lawyer Hina Shamsi said in federal court while arguing against a federal no-fly list on Wednesday. “It is perhaps the most stigmatizing one that the government can place on people.” Meanwhile, the NRA claimed the list is overly restrictive because they say there could potentially be hundreds of thousands of Americans on it.